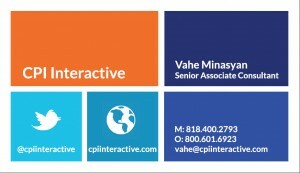 CPI is a boutique management consulting and technology services firm. 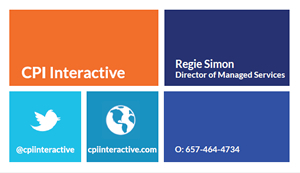 We love helping organizations grow by solving problems and increasing efficiency. We collaborate with our clients to help them become adaptable, high-performance businesses. We work across a handful of industries and all business functions, and our discovery and research capabilities are second to none. We are small enough to collectively focus on our clients and their needs, and experienced enough to provide world-class services and insight. 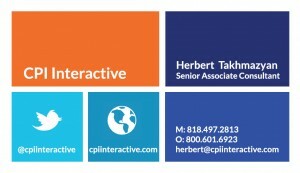 Over the last 20 years, we have fostered a culture at CPI that places emphasis on collaboration and results. 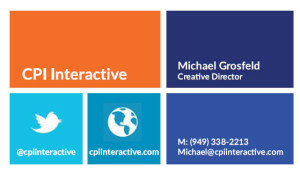 Our combined experience and expertise allows us to help organizations discover and create new value in their business. We love what we do, and we think it shows in the results we’ve cultivated for our clients. We look forward to helping your business flourish. Organizations need to keep their fingers on the proverbial pulse of the digitization trend and its evolution, and employ top teams to provide leadership in formulating strategy that simultaneously takes advantage of short term digital opportunity, and establishes solid cornerstones for long term viability, scalability, and flexibility in an ever-so-quickly changing technological world. Firms that wish to explore options outside of the status-quo of digital strategy need to explore the psychological profiles of their clients and potential customers as best they can. Demographics sectors self-categorize into certain psycho-analytical profiles, and organizations can maximize marketing reach and efficacy by identifying and pivoting their strategy towards those dispositions and biases. Our sales of strawberries have increased by 20 percent each year for the last several years. 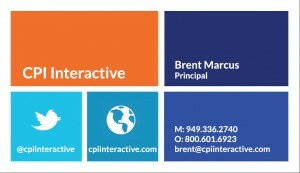 We couldn’t have accurately tracked our sales and inventory pipeline without our sales reporting system deployed by CPI Interactive. It has truly been a lifesaver for us. We could have never achieved this performance through the holidays with our last implementation. The IBM configuration recommended and implemented by CPI performed flawlessly. MBA, CFP, CFC Capital Partners - A subsidiary of Allianz. CPI designed and implemented a customized internal information system for the sales and operations teams at CFC Insurance. This was a particularly difficult task due to the diverse nature of the finance business and the different teams using the system. CPI was able to develop an application that we were able to seamlessly integrate into our day to day operations and greatly increased overall efficiency, productivity, and accountability.